Decided to grow long hair? Learn about the most annoying problems of long-haired women and think again. 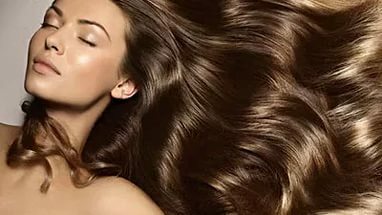 Even if you are not obsessed with brands, long hair can be rather expensive in terms of hair products. Long hair means that you’ll have to use more product at least for covering your locks. Experts at NYC Hair Salon recommend using only the most important products like shampoo and conditioner in this case. If you have long hair, then you definitely want to wear it loose, so everyone can enjoy its unbelievable beauty. There is only one problem – tangles. Be prepared to deal with tangles ifyou prefer to wear your hair loose. It’s important to stay patient and do everything slowly in order to avoid breakage! Long-haired women often face the problem of washing, which becomes a real challenge for them. The whole process is very time-consuming because you have to shampoo, condition, detangle, and dry your hair. For this reason, it’s essential to wash your hair less often but more effectively! even in your mouth; this is exactly why, it’s important to pay attention and learn to avoid these situations. Otherwise, you can unexpectedly lose a few precious tresses! super easy hairstyles or switch to a shorter length. Follow these tips from http://lerevehairsalon.com/ and be fabulous!